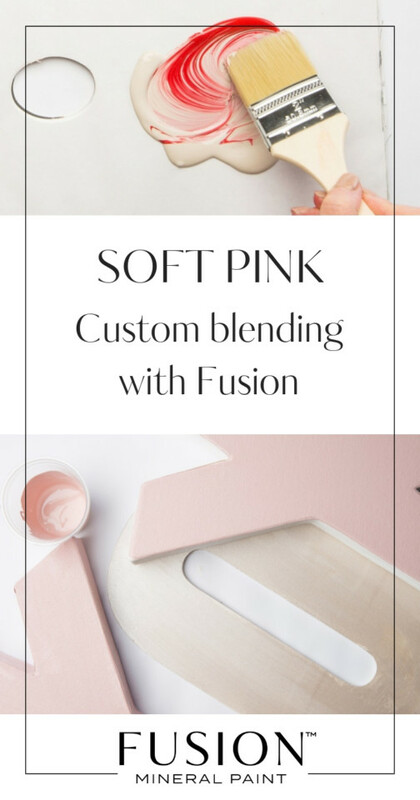 At Fusion we love making our own custom color blends because sometimes you want that personal touch and to have that color that is “just right” for that special project. 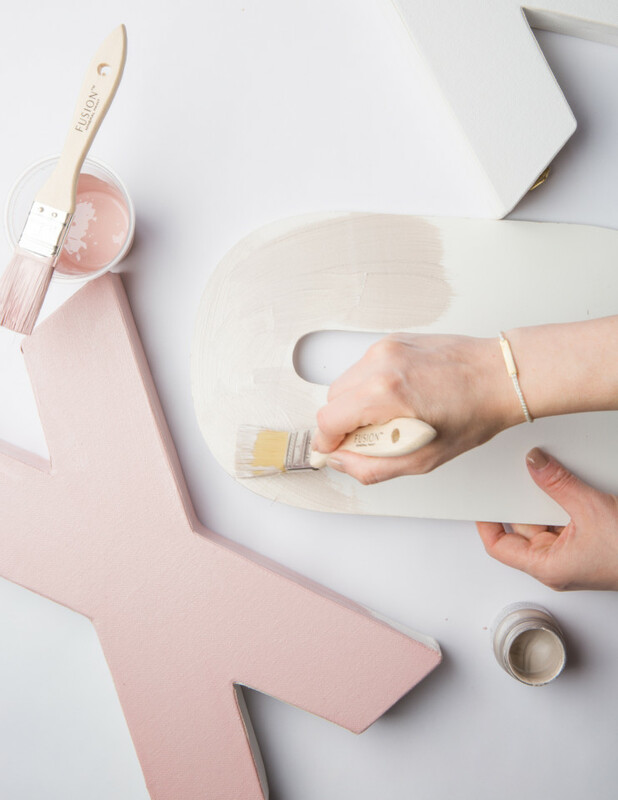 With Valentine’s day around the corner, Jennylyn Pringle developed a custom soft pink paint color mix just in time for this Holiday. We wanted a fun but not overly bright pink so a soft pink paint is the perfect compromise. 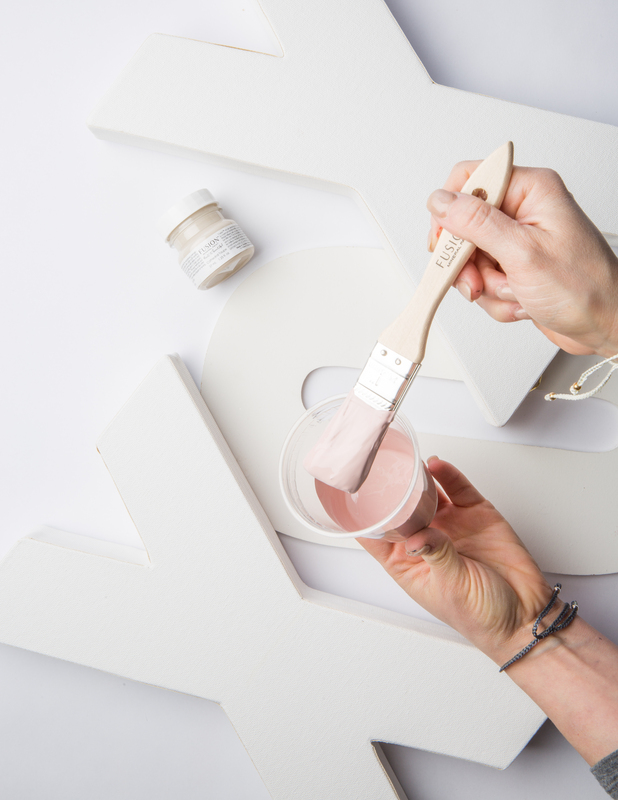 It’s the beautiful soft pink paint mix we featured in our February Color story. 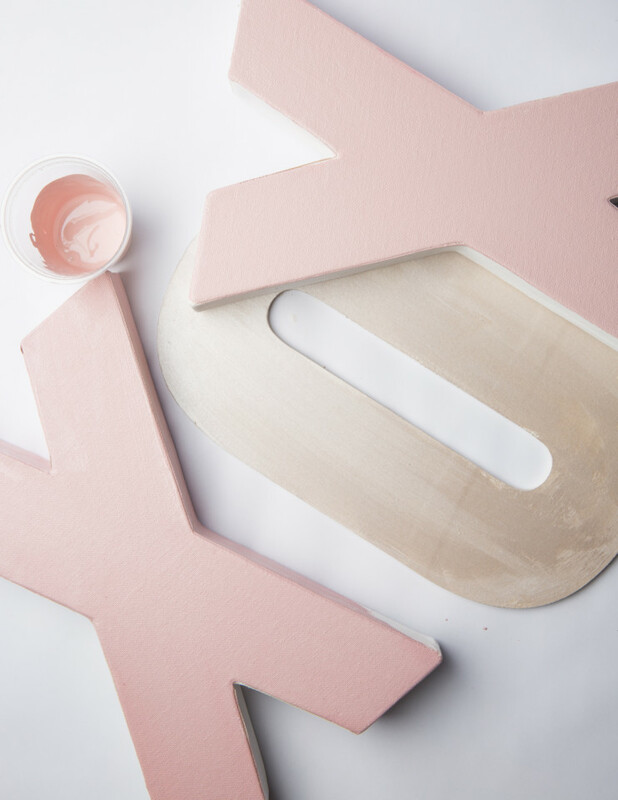 We wanted to make it easy for anyone to create, so here’s how to mix a soft pink paint for Valentine’s Day! PS – we used it on a fun Valentine’s Craft on top of it. 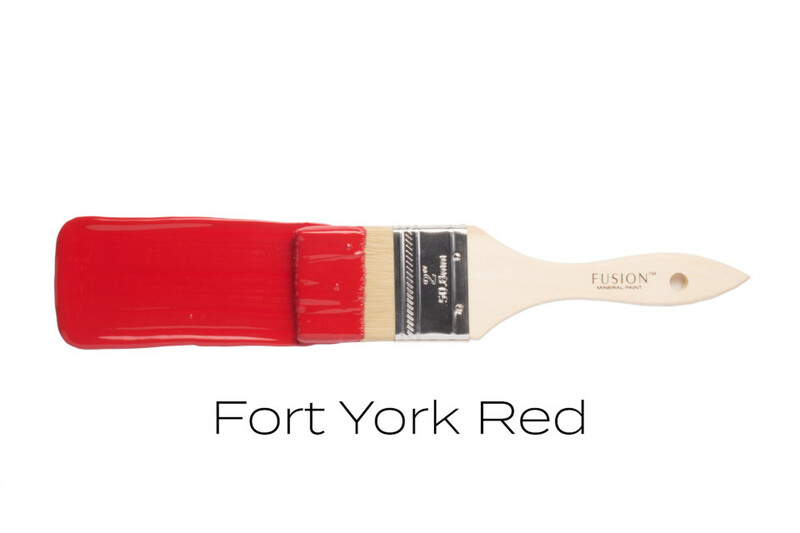 Now Fort York Red is a staple in almost every pink we mix. Sometimes we switch it out for Cranberry if we want it to be “sweeter”. Usually you think of white and red to make pink, but that was going to be too bright for us. So, Jennylyn decided to use Cathedral Taupe, which we realize most people would look at and wonder how that would work out. 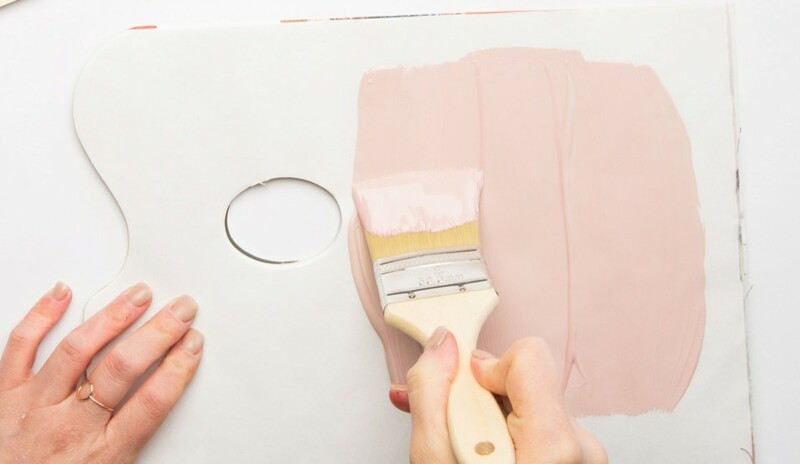 It is a beautiful light taupe with a slightly pink undertone, which ended up giving us the perfect soft pink paint mix that Jennylyn wanted for this color blend. You can buy Fusion Mineral Paint from any merchant by you. Just check out our Where to Buy page on our website. The X’s and O were from a craft store, on clearance because X isn’t a popular letter. Except maybe this time of year. 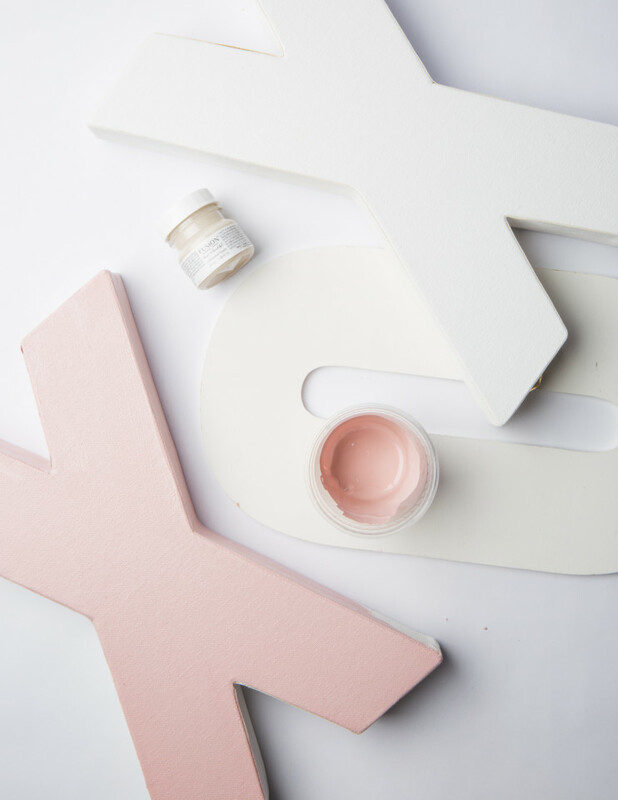 Of course you can always change this up to do any word or letter combination that you prefer and they can all be wood or they can all be canvas. This is just what we we came upon for the project and thought, perfect! How do you measure out parts? Well, it depends on how much area you’re painting. The easiest way might be to get 4 testers of Cathedral Taupe and 1 tester of Fort York Red. If you prefer getting a pint of either color, choose the color that you find you do more projects with, and the one you only need a touch of, a tester size. For everyone out there who loves Holiday crafts and Fort York Red, is someone who can’t wait to paint a dining table set with Cathedral Taupe. So use your own discretion. We recommend using a teaspoon for measurement for this project. A tsp is 5 mL and a tester is 37 mL, so we didn’t even use an entire tester’s worth for our X’s and O. One thing to remember that it doesn’t have to be 100% perfect for these types of small craft projects. The color tone is pretty generous if you end up being 4.5 parts Cathedral Taupe and 1 part Fort York Red. 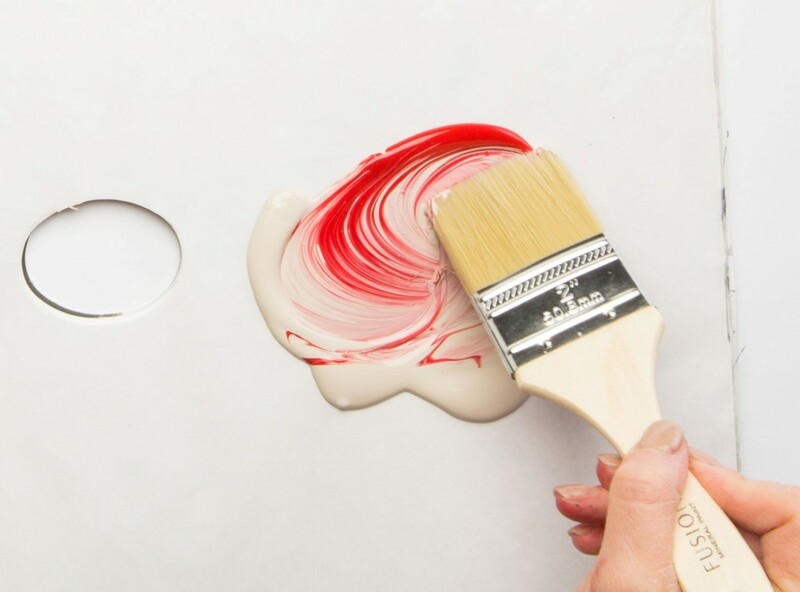 We are at a point where we can actually just pour out the quantities of paint visually because we’ve got experience in estimating custom color mixes. But this will vary by project and by person hence why we recommend a measuring tool, in his case a teaspoon, if you’re not sure. 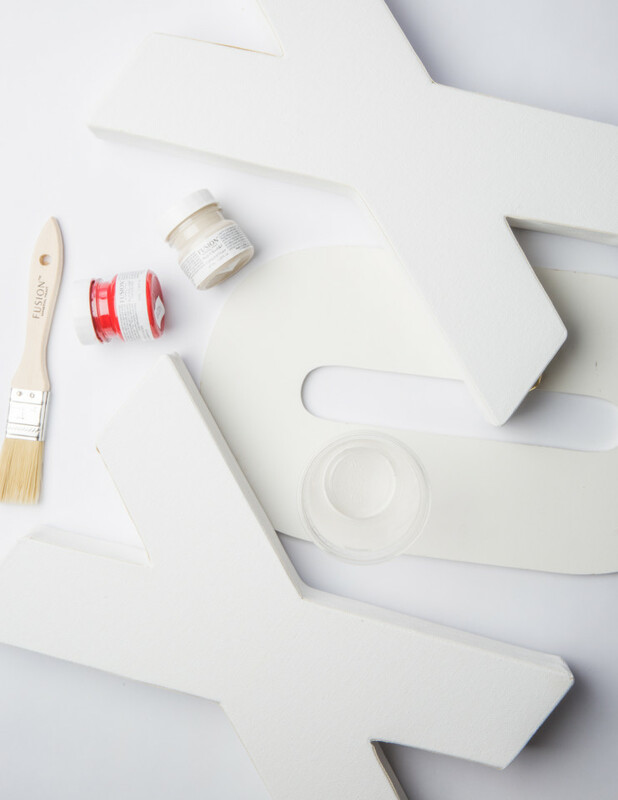 It is however important to note, that if you’re painting a large project in a custom color, you absolutely want to make sure you are getting a consistent color for the whole project. 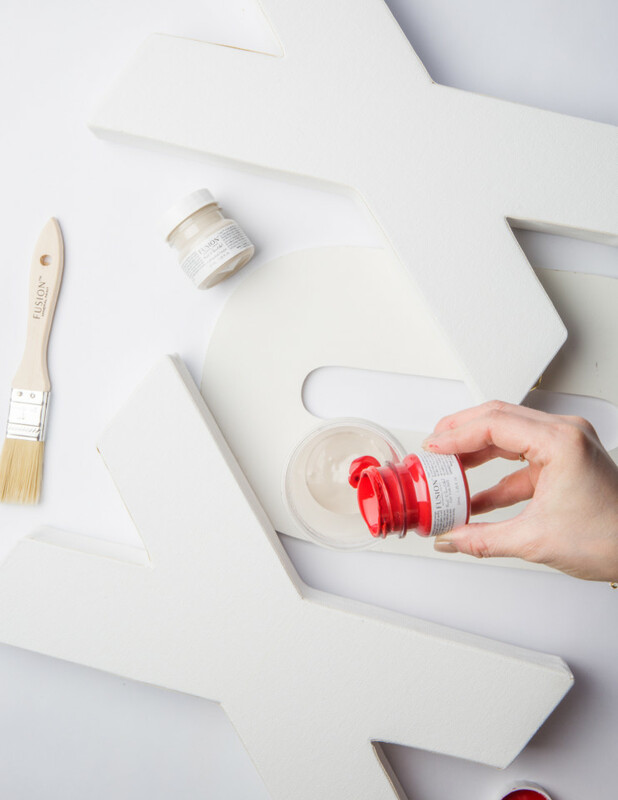 We recommend mixing more paint than you think you’ll need, because if you run out and have to remix the color, your odds of getting it exact are pretty low unless you are measuring with exact precision. In which case, measuring cups are your best friend. This is the funnest and easiest part! Fusion blends so beautifully you see the new color come to life instantly. Our paint was mixed on a disposable palette sheet which is basically wax paper in a notepad. We used a workshop brush to mix which is also what we used to paint with. We mixed with the brush until the paint looked to be a consistent color and no more streaks of the parent color ran through. This resulted in this beautiful soft pink paint mix! Pour paint into a cup and use a tongue depressor or stir stick to mix. Pour paint into an empty Fusion paint jar and shake to mix. 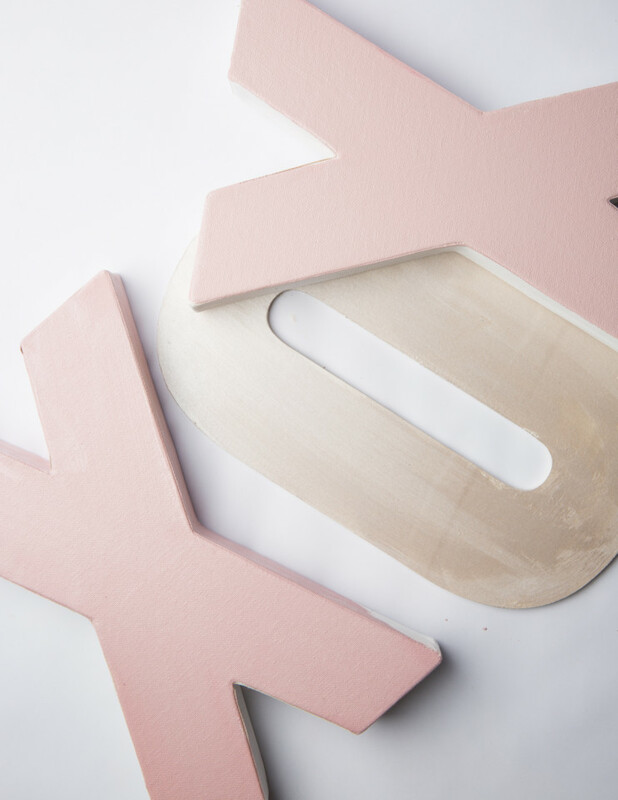 Using the workshop brush we painted the X’s pink, covering top and sides. 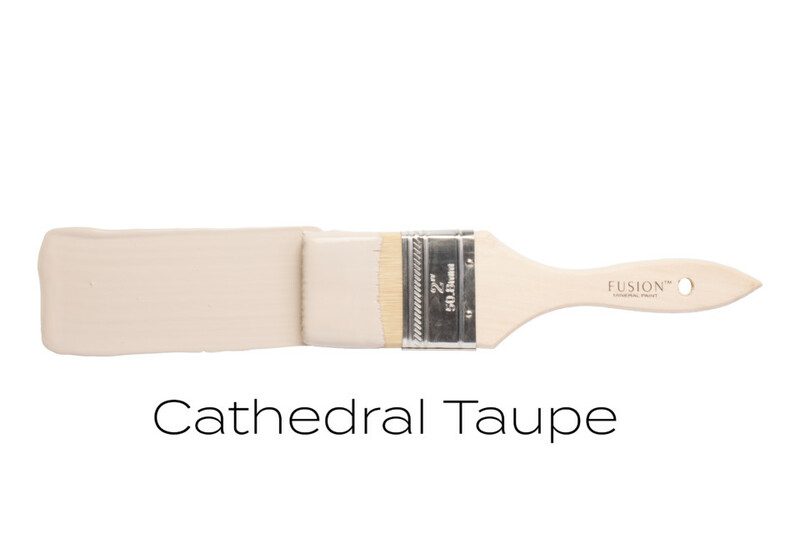 We only needed 1 coat thanks to the amazing coverage of Cathedral Taupe. All we needed was one coat! Fusion’s coverage really offers a lot of value. It may be a small container, but it goes a long way. Allow them to properly dry and you’re done! Display as you wish. We think this would look lovely on a fireplace mantel or even as a centerpiece surrounded by some flowers for a Valentine’s dinner party. 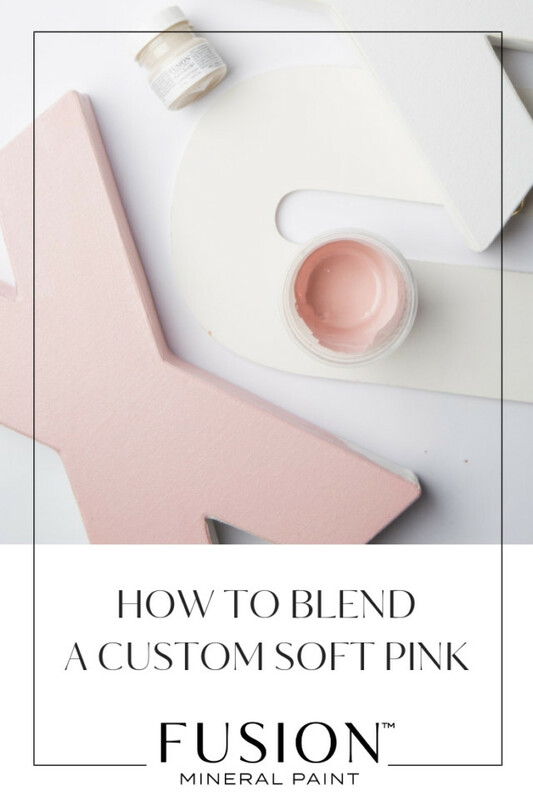 We hope you loved this tutorial for our soft pink paint mix for Valentine’s Day and we want to see what custom blends you come up with! Share them with us in Paint it Beautiful and always make sure to tag us on social media using #FusionMineralPaint and #PaintItBeautiful.